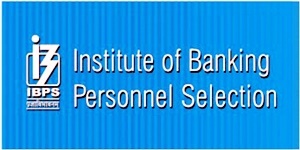 Institute of Banking Personnel Selection (IBPS) has released the Clerk VII CWE Recruitment Notification for people eagerly waiting to apply for bank jobs. Candidates having suitable eligibility criteria can apply through online @ ibps.in from 12th September 2017. Last Date to apply for Clerk VII Exam is 3rd October. Interested aspirants can send the online applications through ibps.in within stipulated dates. Candidates can download IBPS Clerk VII Notification 2017 PDF from the official website and go through all the details once before applying for the Clerk VII Examination 2017. Candidates eagerly waiting for the IBPS Clerk VII Notification 2017 can check the details such as eligibility criteria, application process, and important dates from this article. IBPS annually releases various job notifications to recruit eligible personnel for various Government/Private/Associated banks. Every year a large number of competitors’ clashes for IBPS examinations to get bank jobs. Candidates seeking bank jobs in India can refer to the IBPS website, ibps.in on regular basis to check various recruitment notifications. This year IBPS has announced the Clerk VII Notification 2017 for interested aspirants. Competitors waiting for this notification can have a glance of complete details from here. Applicants wishing to apply for Clerk VII jobs 2017 must have the age limit between 20-28 years. The age relaxation applicable as per norms. The age relaxation for OBC is 3 Years, SC/ST is 5 years, and PWD is 10 years. Candidates must hold Graduate Degree in any discipline from any of the recognized College/University. Candidates clearing the prelims exam will be sent forward to mains examination and candidates clearing the mains exam will be sent forward to the interview round. Finally, candidates clear the interview round will get placement in any bank associated with this recruitment process. Candidates seeking to apply for IBPS Clerk posts 2017 can apply through online @ ibps.in. Candidates must have to scan all the requisite documents, signature, and photograph before applying. While applying online, candidates need to attach all the documents, signature, and scanned photo. Only online application process is allowed for the aspirants. Also, candidates applying for IBPS Clerk 2017 recruitment must have to pay the requisite application fee through online using any debit/credit cards. The application fee is as follows.